Two days ago, I suddenly lost my Internet Connection. I don’t know what happened but there were technical problems with my ISP. Good thing that I got an unlimited data plan when I got my Android smartphone. But surfing experience is not the same as when you are using a desktop or PC. So my problem that time was, how can I share the Internet or the Mobile Data Connection from my Android smartphone to my PC (Windows 7)? Later I found out that there is the hard way and there is also the easy way of doing it. For this article let’s just focus on the easy way. Who wants the hard way anyway? 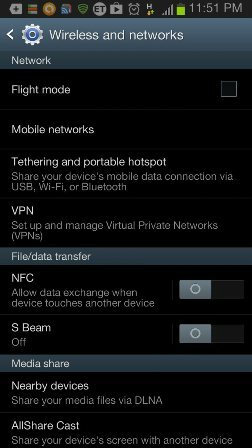 The process of sharing your mobile data connection or internet connection from your Android phone to your PC is called Tethering. Tethering your mobile data connection to your PC can easily be done in two ways. The first one is to download Apps that will help you Tether or share the Internet connection from your Android phone to your PC. 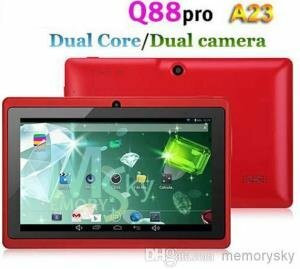 And the other one is just connect your phone to your PC via USB connection or Bluetooth. It’s a built in function. This was the first method I tried. I encountered two APPs that can Tether the internet connection, the PdaNet and EasyTether. Unfortunately both are paid apps, but the EasyTether has a free lite version. So I tried using the EasyTether instead. The problem is you will eventually need to pay for the app to fully tether the connection. So I dropped this option and looked for another way, a free one. To my surprise there was actually an easy way, and it was a built in feature on the phone. For the purpose of this guide, I used a Samsung Galaxy Note 2 GT-N7100 running on Android Jelly Bean 4.1.1. I’m not sure if this feature is also present in previous versions of Android, or other Android phones. And my PC is running on Windows 7. 5. Connect your Android phone via USB, but be sure you have installed in your PC the proper USB drivers for your phone so that your computer will detect your phone. Otherwise it will not work. 6. 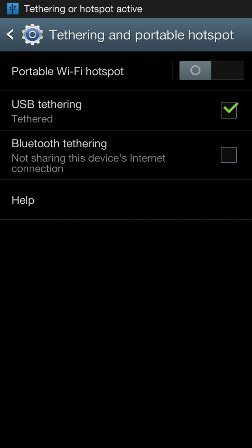 After you have connected your phone to your PC, check the “USB Tethering” from your phone. 7. Your PC should be now detecting your phone’s network. Your PC will create a new network connection and just connect to it. 8. By now you should be able to have internet connection to your PC using your phone’s mobile data connection. Take note that tethering your mobile data connection via USB will disable the phone’s storage device, meaning you won’t be able to see it’s internal and external storage. If you do not have a USB cable or you don’t want your phone to be physically connected to your PC, you can share its mobile data connection via Bluetooth. For this step, your PC should have a Bluetooth function or Bluetooth dongle. The steps are just the same as above. 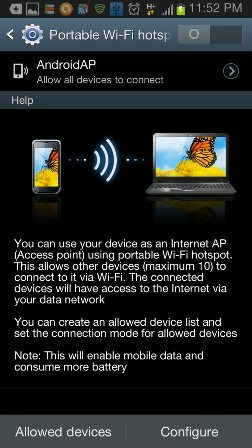 Just select the “Bluetooth Tethering” if you wish to connect and share your Android phone’s internet connection to your PC via Bluetooth. I haven’t tried this step since my PC does not have a built in WiFi function. You can do this with a laptop or a PC with built-in WiFi feature. To connect or share your phone’s internet to your PC via WiFi, just do the same steps as above and choose or turn on the Portable Wi-Fi Hostspot instead. There you have it, I hope this guide will help you also. If you like this article please do consider sharing it with your friends or network.